It’s summer break in Bradbury. And that means cookouts, cornfields, and county fairs! But at Zion Lutheran Church, the changes and chances of life don’t take a vacation. Pastor Fletcher must learn to share the parsonage bathroom. Mrs. Scheinberg must face the fact that not every problem can be solved by pie. And when a beloved member makes a life-altering announcement, the entire congregation must trust more than their crops to the Lord of the harvest. 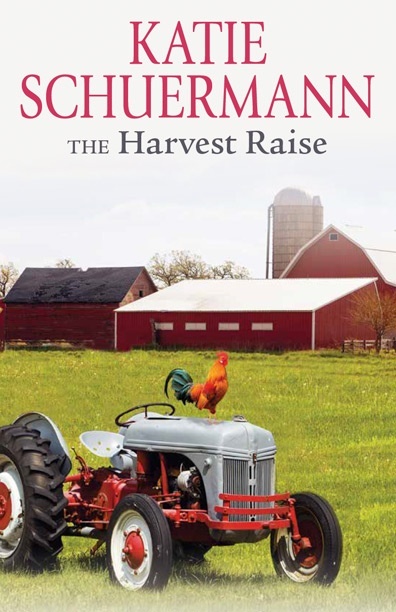 Sung by Katie Schuermann and inspired by The Harvest Raise. Color your very own picture of Cogburn the rooster. What Anthems of Zion character are you? The congregation is in a delighted tizzy as it prepares for the wedding of two of its own. Then the air conditioner breaks, the cake melts, and someone is rushed to the emergency room. As members of the church family encounter new trials, the congregation rallies together to support each other with God’s love, His promises of life and salvation, and maybe some snot-covered blouses. It’s summer break in Bradbury—and that means cookouts, cornfields, and county fairs! But at Zion Lutheran Church, the changes and chances of life don't take a vacation. Pastor Fletcher must learn to share the parsonage bathroom. Mrs. Scheinberg must face the fact that not every problem can be solved by pie. And when a beloved member makes a life-altering announcement, the entire congregation must learn to trust more than just their crops to the Lord of the harvest. Listen to the anthems of Zion! Download free MP3s and sheet music of the hymns. Vocal and instrumental parts are both included. Honest, sincere, and lyrical, Katie’s writing reflects her Midwestern roots and her interest in the arts. After earning graduate degrees in music, she taught music history and literature at various colleges, directed children’s theater camps, and sang in various concert halls, theaters, and churches across the Midwest. When she’s not working on a writing project, Katie can be found gardening, cooking, hiking, singing, and enjoying fellowship with friends and family. Katie is a blogger and the author of He Remembers the Barren (Lutheran Legacy) and Pew Sisters: Real Women, Real Lives, Real Stories of God’s Faithfulness (Concordia Publishing House).